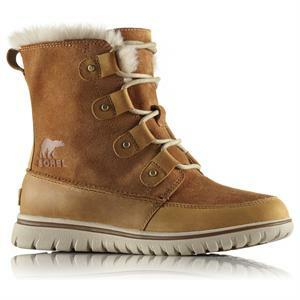 The Women’s SOREL® Cozy Joan Boot features the sporty aesthetic of a sneaker with the warmth of a winter boot. 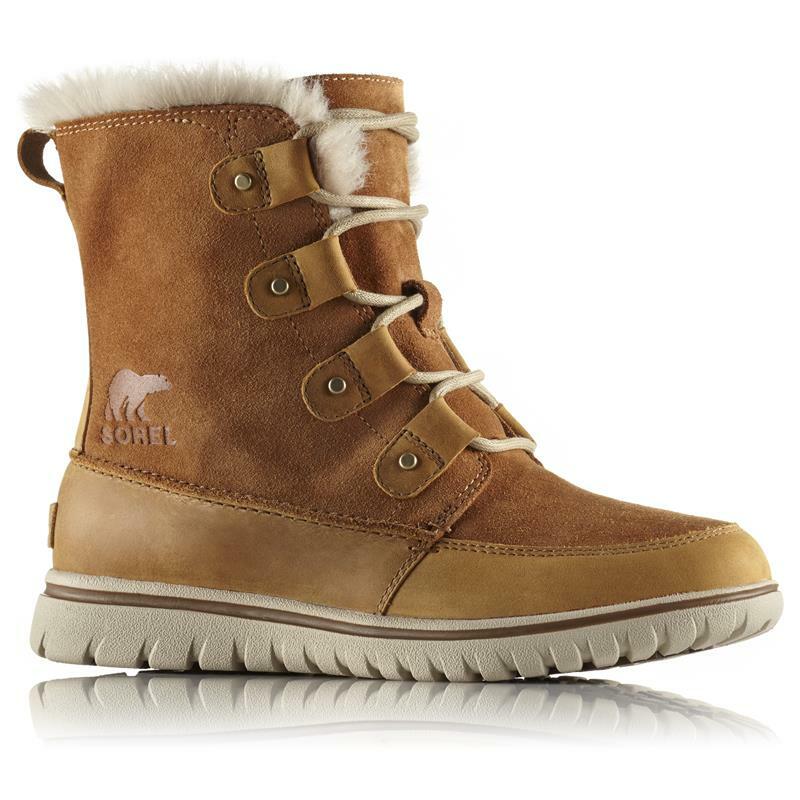 Waterproof leather and suede upper with faux fur collar. Waterproof breathable membrane construction. Microfleece lining. Removable molded PU like EVA footbed, microfleece topcover. Outsole grade EVA with molded rubber pods. Shaft Height: 6 2/3 in.